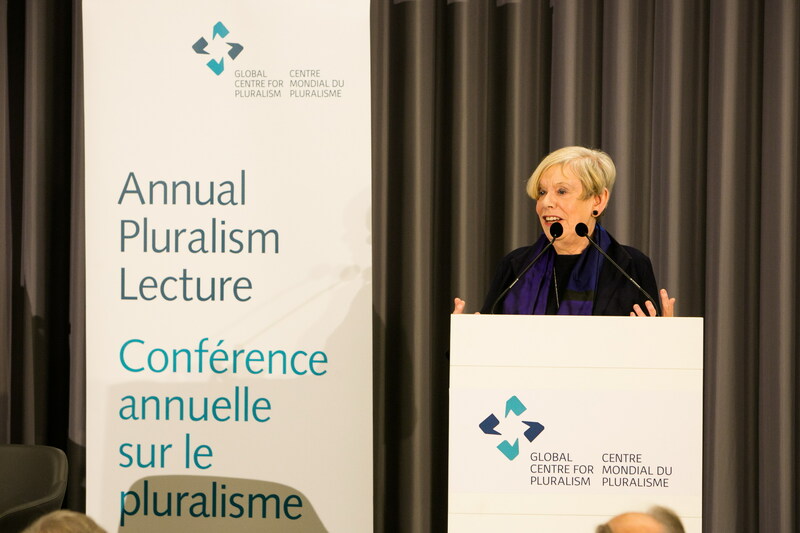 Karen Armstrong delivering her speech at the Global Centre for Pluralism’s sixth Annual Pluralism Lecture. London, United Kingdom, 4 October 2018 – Karen Armstrong, the British author, delivered the annual 2018 Global Centre for Pluralism Lecture today at the new Aga Khan Centre. The title of Ms. Armstrong’s lecture was “Compassion or Toleration? Two Approaches to Pluralism”. Each person invited to give the Annual Pluralism Lecture is asked to reflect on how to build and strengthen pluralist societies. The Lecture is hosted by the Global Centre for Pluralism, an independent, charitable organisation founded by His Highness the Aga Khan in partnership with the Government of Canada. It is based in Ottawa, Canada.